Apple is preparing to launch the largest overhaul in iTunes' history, with sweeping changes including new cloud-centric features. Sources speaking with Bloomberg claim the update will arrive before the end of this year -- possibly in conjunction with the iPhone 5's rumored late second or early third-quarter unveiling. The revamped software will reportedly focus on iCloud integration, allowing users to sync media to the Web for easy access across multiple devices. Apple is also said to be working with music labels to offer a sharing feature akin to Spotify's that would let friends stream each other's music free of charge. 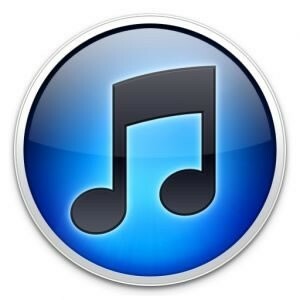 In addition to improving media organization, discovery and selection, Apple may reduce some of iTunes' bloat by removing certain features. We saw what is likely initial phase of this initiative last week with the launch of a separate Podcasts application for iOS (Podcasts were previously found in the iTunes app). Rumors indicate that iTunes U may also be removed, having received its own iOS app earlier this year. Further speculation includes the potential for other Spotify-like offerings, such as a subscription service that provides unlimited music streaming for a monthly fee. Spotify has been wildly successful since launching in 2008, becoming the second-largest revenue source for labels after iTunes, despite only being available in 16 markets (versus 40 for iTunes) and arriving in the US less than a year ago. In a somewhat related report, Bloomberg's sources say Microsoft's "expansive" Xbox music service will combine the best features of rivals including iTunes and Spotify, allowing users to consume music any way they want. Xbox music was teased earlier this month during E3, though few official details are available. It's expected to work across Microsoft's Xbox 360, Windows 8 and Windows Phone products.